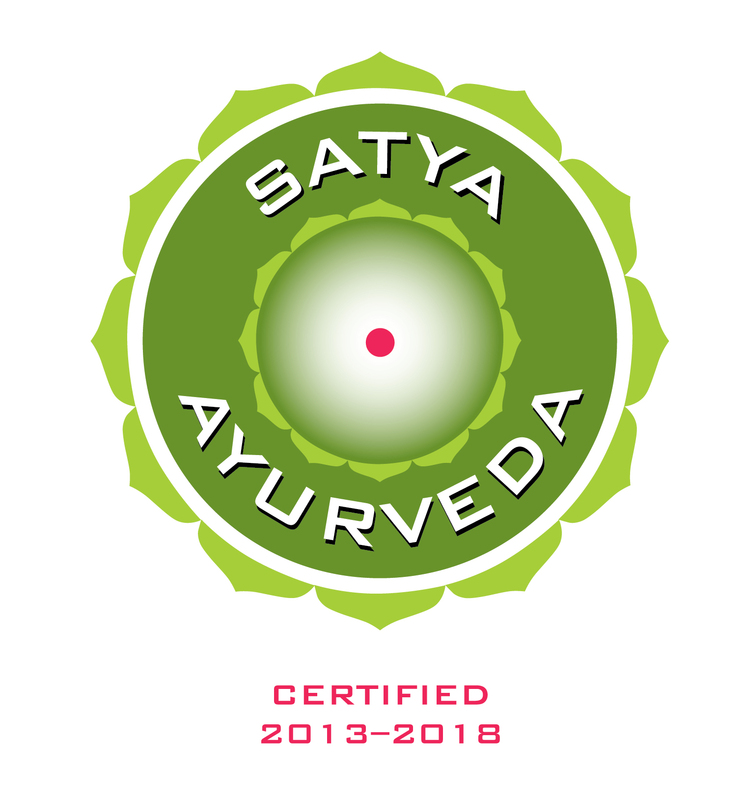 During this Ayurvedic consultation we will explore your detailed health history, discuss your personal concerns and health objectives, and perform a pulse assessment (to determine your body‘s constitutional type and organ balance/imbalance). 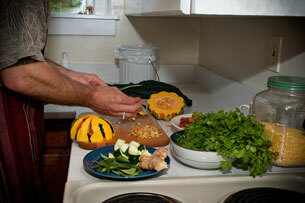 Based on your unique clinical state, Ayurvedic lifestyle practices are recommended. 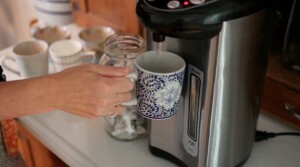 These may include dietary changes, herbal remedies, Ayurvedic massage, yoga therapy, pranayama (breathing techniques), meditation and home remedies. A Lifestyle Consultation, but for clients who are out-of-state or are unable to come to our clinic. This is for clients who have had a Lifestyle Consultation or have done Panchakarma with us and need to check in. We can discuss changes in herbal formulas and dietary and supplement questions. Please take note that if you have been in to see us for a consultation or Panchakarma we offer this service free of charge for the first three months after your visit. This ancient Ayurvedic massage technique is performed by a synchronized team of two therapists. Herb-infused oils are prepared specifically for your physical and mental constitution. The warm oil penetrates the tissues, loosening toxins from the cell and tissue structures. Abhyanga draws out impurities and improves immunity by increasing lymphatic circulation. 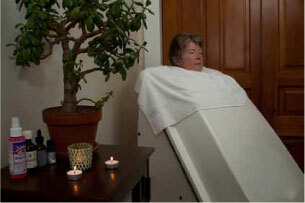 Your body and mind experience stillness and deep peace during this treatment. Please be prepared to shower and dry your hair after this treatment. A profoundly relaxing treatment of warm oil poured slowly in a continuous stream across the forehead. 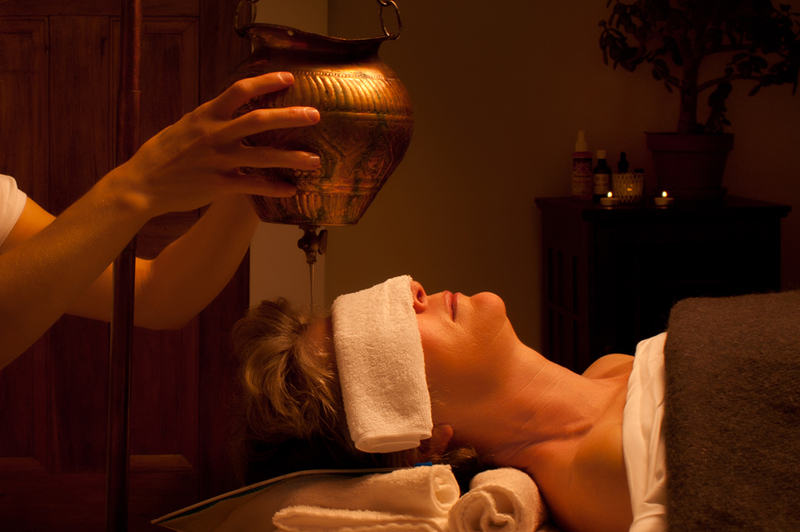 Shirodhara calms the central nervous system, synchronizes brain waves and promotes a sense of deep peace. Healing takes place as your nervous system begins to revitalize. Includes a face and scalp massage, as well as a nasya (oil for the nasal passages) and a brief application of warm medicated oils to the entire body. Please be prepared to shower and dry your hair after this treatment. A thoroughly relaxing head, face, neck and shoulder treatment designed to open the upper body channels (srotas) and encourage lymphatic flow. Nasya clears the sinuses, enlivens your senses and relieves tension and congestion. This cleansing therapy is indicated for headaches and allergies, and problems of the neck and head region. Includes marma (acupressure) therapy, herbal steam treatments, and oil drops medicated with ginger and jaggery for the nasal passages. Please be prepared to shower and dry your after this treatment. A calming and balancing Ayurvedic massage focusing on pressure points (marmas), and enhanced by medicated herbal oils and essential oils blended for your constitution. By stimulating the marma points we open energetic and physical blocks caused by inadequate circulation, stress, and improper diet. This treatment will improve your body-mind connection, leaving you feeling centered and grounded. Please be prepared to shower and dry your hair after this treatment. A full-body herbal steam treatment given in a specialized heat chamber which allows the head to remain cool. Moist heat and essential oils encourage the mobilization of impurities/toxins (ama) throughout the body for elimination through the sweat glands. We offer this deeply cleansing treatment as an enhancement (add-on) to any massage treatment. An intensely therapeutic Ayurvedic treatment designed to deeply purify and soothe the body area of your choice. Warm oil massage and marma chikitsa prepare the region for receiving treatment. A medicinal bundle of specially prepared rice and herbs are applied to the affected area, penetrating the tissue and bringing relief. An ideal therapy for painful joints or muscle aches and tension. Pinda Sweda is most effective when repeated over a course of several days. A traditional restorative treatment to soothe the lumbosacral region, indicated for low back pain, slipped discs, sciatica and arthritis affecting the spine. Your treatment begins with marma chikitsa (gentle pressure point massage). We then use organic whole wheat flour to create a reservoir that is placed over the affected area of your spine. Warm medicated oils are poured inside the reservoir, concentrating the healing benefits of the oil where you need it most. The oils penetrate the tissues deeply, bathing the affected vertebrae, nerves and muscles. The eyes are intimately connected to the brain and nervous system. This soothing treatment is ideal for many eye conditions, and for calming and balancing the mind. We make a reservoir from organic whole wheat flour and place it around the eye. Warm ghee (clarified butter) is then gently poured inside, bathing the eye and surrounding tissues. As the ghee penetrates, the entire nervous system receives its therapeutic benefits. We treat one eye at a time, so this treatment must be scheduled on two consecutive days. The Arvigo Techniques of Maya Abdominal Therapy® are founded on the ancient Mayan technique of abdominal massage which is an external non-invasive bodywork technique that benefits the uterus and digestive organs, improving the flow of blood, lymph, nerve function and prana. This assists many woman in healing painful periods from multiple causes, improves digestive health immensely, and also benefits in preparing for pregnancy. Massage can be done during pregnancy (after 20 weeks) and post partum (6 weeks) for optimal positioning and health of the uterus. The exact way the sky appeared at the moment you were born is likened to the GPS of your life. Jyotisha is both ancient and astonishingly accurate and precise. In a one hour consultation you will: have your unique questions answered, learn what phase of life you are in, when it started, when it will end, what’s next and how to find balance. Whether you are asking about health, relationship, career, finances or what spiritual practices to incorporate to enrich your life, you will leave the session feeling empowered. You will be given tools to discover a greater sense of abundance, peace and health in your life. You will need your birth date, exact time (please double check certificate if possible) and place. Core Synchronism is a system of hand medicine designed to assist nature in reestablishing harmony with all parts of the organism. As a mechanical system designed to restore balance, it results in the body’s own activation of it’s innate healing ability. Core Synchronism is a subtle energy treatment and natural addition to any panchakarma protocol or other health concern, assisting the body to relax, destress, reduce inflammation and release toxins loosened in the cleansing process. Core Shamanism is a highly ethical method for removing adhesions and/or influences that may be keeping a person feeling blocked emotionally, mentally, physically, and/or spiritually. This session includes a diagnostic journey and then healing session using any/all of the following: drums, rattles, sound, essential oils, plants, food, crystals; any/all with the aid of compassionate helping spirits to help clear and restore one’s own personal power. Distance healing can be easily accommodated. Join us for our Ojas (OH-jus) Retreat and take an opportunity to restore your nervous system through receiving and relaxing. Ojas is a vital sap that circulates throughout our bodies giving us strong immunity, strength, vitality and resilience. It promotes mental clarity, a tranquil mind, compassion, positivity, glowing skin and spiritual awareness. As we age, undergo stress and overdo, our Ojas gets depleted allowing us to become tired, have low immunity, increased anxiety and lack of enthusiasm. It is vital to take retreat time to honor Ojas and your inner temple. Take a little pause in your life to slow down, build Ojas and feel like yourself again! 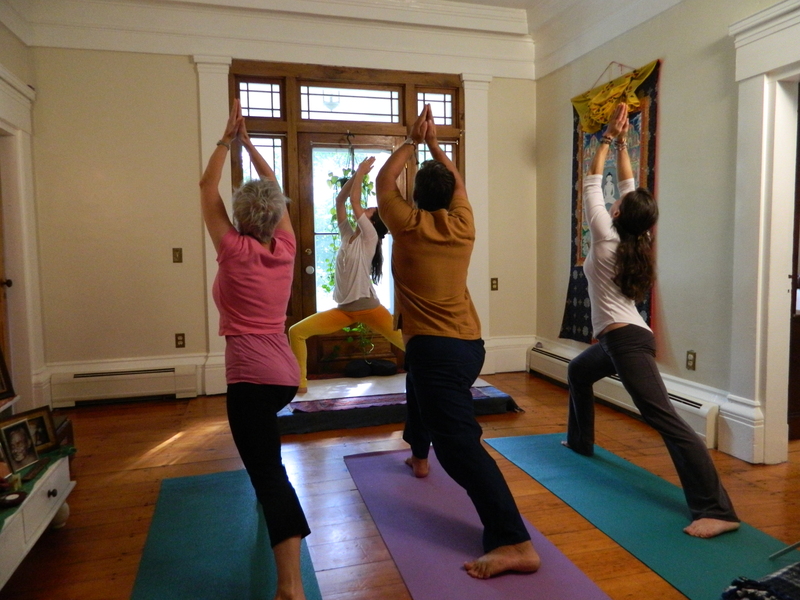 Daily gentle AyurYoga classes including pranayama and meditation. Your choice of Maya Abdominal Therapy, Core Synch, Nasya, Netra Basti or Kati Basti treatments. 3 light vegetarian meals consisting of a hot whole grain spiced cereal for breakfast and kitchari for lunch and dinner. Free time to journal, meditate, read, walk in the woods, and hike. Two night stay in one of our accommodation rooms. Recommended option but not necessary: Unplug and be Silent! $895 includes all of the above! We are also happy to create a retreat tailored to your individual health concerns and needs. Cancellation Policy: Your Ojas Retreat deposit of $350 is non-refundable, but can be applied to any future treatments. Upon arrival, your credit card will be charged for the full program and is non-refundable. We require a 30 day notice for cancellation. If you need to reschedule or cancel your treatments within 30 days of your scheduled treatments, we require full payment which can be applied to future treatments. Panchakarma (PK) therapy is a detoxifying and cleansing program based on ancient purification and rejuvenation techniques from India. This treatment must be performed by a knowledgeable and well-trained therapist. PK is designed to ripen the bodily tissues and expunge them of impurities/toxins so the body can heal itself and function at optimal levels. It is a scientific approach that involves a specific series of Ayurvedic treatments designed to meet your individual needs. This deeply cleansing process will give you a fresh start as you leave behind toxins and fatigue, as well as physical, emotional, and mental stress. We offer our panchakarma retreats as a 1-day PK Experience, a 3-day Rejuvenation, and a 5-, 7- or 10-day Deep Cleanse and Restoration. The four step program is applied to the following packages. Three or more days includes an Ayurvedic consultation over the phone with preparatory instructions, a half hour each day of Ayurvedic lifestyle consultation, ayuryoga (yoga therapy), pranayama, meditation, food (a nourishing simple diet of Kitchari). A follow-up phone consultation is provided to monitor your progress once you have returned home. Cancellation Policy: Your panchakarma retreat deposit ($450 for a 5 day PK and $650 for a 7 day) is non-refundable, but can be applied to any future treatments. We require a 30 day notice for cancellation. Upon arrival, your credit card will be charged for the full program and is non-refundable.